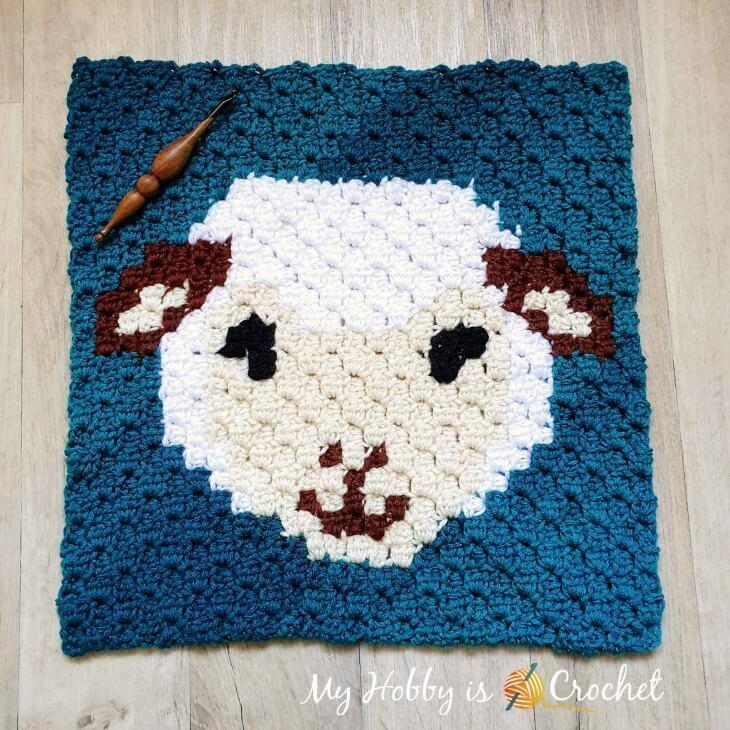 The Woolly Sheep is the second C2C Square pattern in my Animal C2C Series. 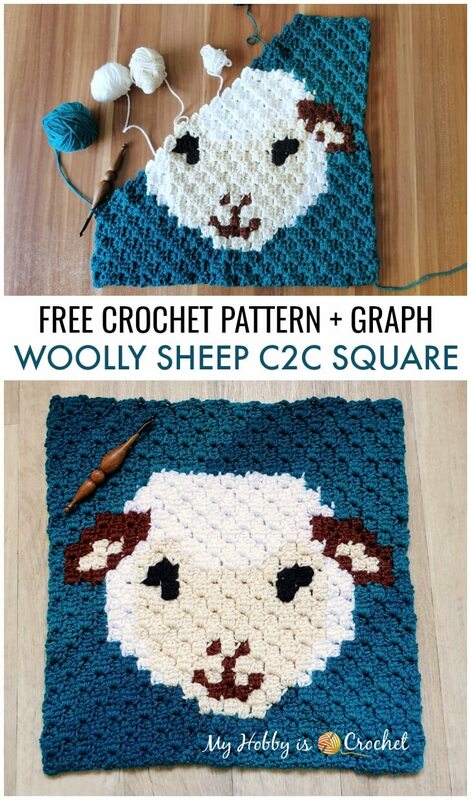 The Woolly Sheep and the Sassy Bunny C2C Square are great for Easter themed projects, but not only. The kids will surely love them! 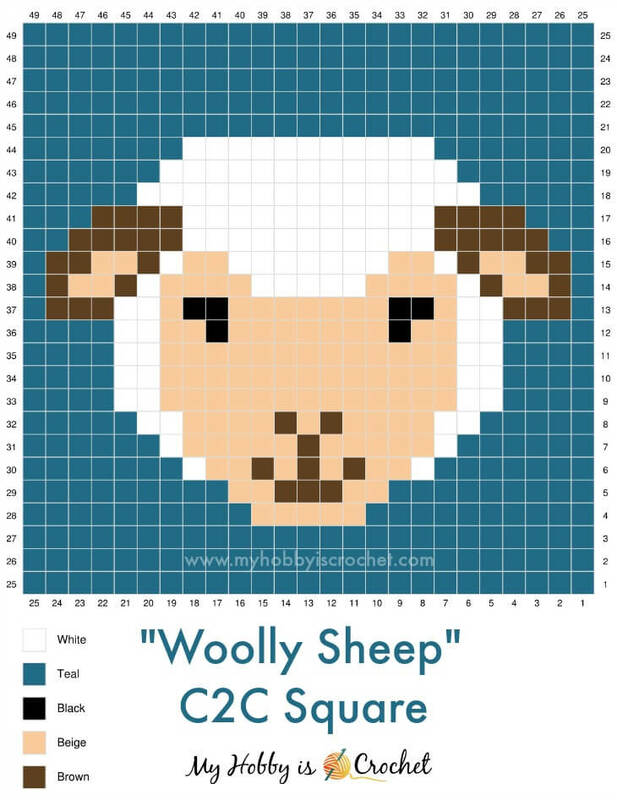 All the squares in this C2C Series can be used individually to make adorable pillow cases (See my pattern for the Removable C2C Pillow Case here!) or they can be mixed and matched to make baby blankets or even afghans. 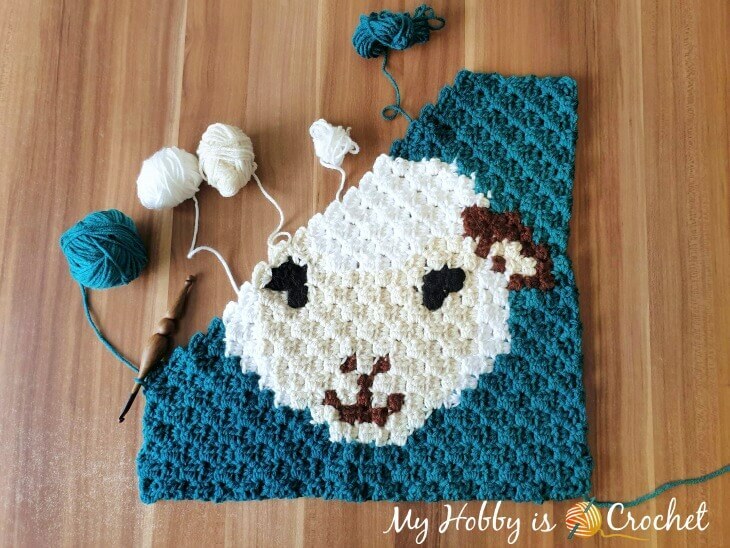 The same as the Sassy Bunny C2C, the “Woolly Sheep” C2C Square Pattern is worked using the diagonal box stitch (C2C) in hdc (half double crochet), that makes for a smaller C2C with less holes then the C2C worked with the double crochet. To make this square, I have combined Red Heart Super Saver with Red Heart Soft yarn for the sheep’s white wool, but you can use Super Saver yarn for the whole square. You will work the C2C square on the diagonal starting from bottom right corner to top left. The uneven rows will be on right side of work, while the even rows on the wrong side of work. The pattern includes a Graph for the Woolly Sheep C2C and row by row written instructions for color counts. For the basic instructions of the C2C in half double crochet and tips for changing colors and placing the yarn strands, please refer to my Sassy Bunny C2C Square. You can also watch below the Video Tutorial from Maria’s Blue Crayon to learn how to work the C2C with the hdc. This graph is my own creation, made from scratch in Stitch Fiddle! 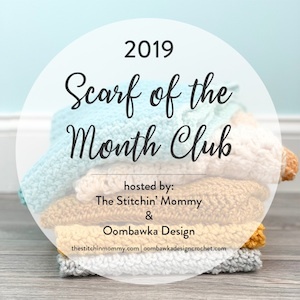 Want more patterns with sheeps or lambs ? Check out the Darling Sheep Purse and the Little Lamb Baby Bib! I love sheep and lams! Thank you so much for your time and effort in designing this wonderful chart. I all ready have ideas for turning it into a baby blanket! Manter deste curso, por favor , ótimo trabalho!